Absolute Carpentry & Cabinetry was established in 2012 following over 15 years in the luxury marine fit-out industry. I AM A QUALIFIED TRADESMAN I have built my skills on a long-standing career in the luxury marine fit-out industry. Quality, detail, visual impact and hard work was paramount to the success of my career and I now bring this to your home or business. WHO COMPLETES THE WORK Jason does! You can rest assured that the person you contact and discuss your plans with is the man that runs the business as well as carries out the installation in relation to carpentry, cabinetry and some stone works. Stonemasons will be used for larger jobs under the supervision of Jason. Coobeh is a family owned and operated business based in Perth, Western Australia crafting high end custom cabinets and has stayed successful for over 16 years by adhering to its strict family values; .Design creatively to meet client need .Craft the highest quality custom cabinetry products; .Deliver on schedule every time; .Price it fairly; .Be honest, genuine and friendly. 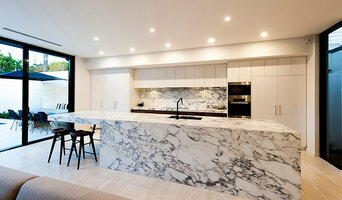 At Coobeh, we stand out from other cabinet makers because of the commitment to quality and invite you to experience it. Academy Custom Interiors is a family owned and operated company specialising in the design, manufacture and installation of custom cabinetry for the home. With over 35 years experience in the industry we can help you make the best of your available space. We custom design, manufacture and install bespoke wardrobes, homes offices, entertainment units and space saving Tiltaway beds. Working mainly on referral we endeavour to exceed your expectations with every project. Character Cabinets is proudly owned and operated in Western Australia. A flexible, locally-owned business that delivers kitchen design, renovations and custom cabinets of superior quality to all our clients. At Character Cabinets, our mission is to meet or exceed our customers needs & expectations through service, follow up support, quick response and courteous behaviour. Our reputation is built on the fact that we recognise your kitchen is the centre piece of your home so each project is managed individually. Centurion Cabinets has been successfully turning dreams into reality for over 30 years now. We have always maintained our own standards which has led to a constant supply of repeat customers over the years. We can offer excellence in all forms of cabinetry from built-in to free standing. Centurion Cabinets prides itself on being able to reproduce your ideas and briefs from sketches and turn them into a reality. Something you can be proud of. Cabinet Maker based in the Great Southern Town of Albany, I do any work from Kitchens, Bathroom Vanities, Laundries, Wardrobes, Storage and Shelving and the occasional bit of Free Standing Timber Furniture. Willing to Travel as I service the Regional & Metro Areas. A&M Joinery has proudly supplied the local building industry with quality joinery products since 1980. Locally owned and operated family business, we are at the forefront of the designing and manufacturing of high quality joinery. We specialise in custom bi-fold doors and windows, pivot doors, solid timber doors and colonial doors. We also manufacture a range of window frames including casement, awning, double hung, louvre and sashless windows. Contact us today for all your joinery needs. 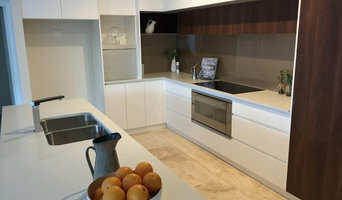 Leading Edge Cabinets is a full-service Cabinet Making company providing cabinet design, construction and installation services to Residents and Business' of Western Australia. If you’re looking for a Cabinet Maker to create a beautiful Kitchen, bathroom or custom-built wardrobes, chests, wine racks and more; that meets your budget and enhances your home’s value and lifestyle... Look no further because Leading Edge Cabinets is leading the way! No matter how big or small your cabinet needs are we will work closely with you to make your dream a reality and create the ideal cabinet solution that you can enjoy for many years to come. With 20 years joinery work experience, we can transform your old kitchen into a modern living area with 3 weeks. Lacina Wood Art offers wooden products which are capturing an inimitable beauty of the nature. Every product is created with the connection of modern technology, handcrafted work and unique eye for detail. We are a premier cabinets and woodworking company based in Canning Vale. We specialise in kitchens cupboards, home and office furniture, bedroom wardrobes shelving and built in wardrobes and storage, TV and display cabinets and much, much more! Small commercial fitouts from one-off sales counters to individually designed office furniture are our specialty. Top Shelf Cabinets and Woodworking is renowned for creating individual products of outstanding quality using the best quality timber for your application. 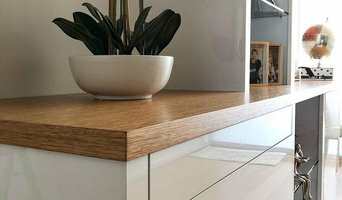 At Top Shelf, we pride ourselves on the quality of our individually designed cabinets - from entire kitchens and office fitouts to bathroom vanities, TV cabinets and timber bar tops. We get the best products from a list of esteemed suppliers. Our designers are immensely talented and experienced and love new challenges. Their experience allows them to interact with you regarding all aspects of your project, assist with layout, materials, colours, sinks, wardrobes, appliances, etc., and come up with solutions that are perfect for you. Our skilled craftsmen ensure that your individual or custom design is brought to life - adding style, beauty and value to your home or office. For the best cabinets and woodworking to suit your Kitchen, Bathroom, Bedroom, lifestyle and budget, all you need is Top Shelf. Joinery and cabinet makers are mostly known for their work in kitchens and bathrooms, but their skill set goes much further than that. It is important to understand the difference between carpenters and cabinet makers, which lies in the detail of work. Carpenters tend to work on larger structural projects and this is why many become builders, whereas cabinet makers are masters when it comes to the finer detail. 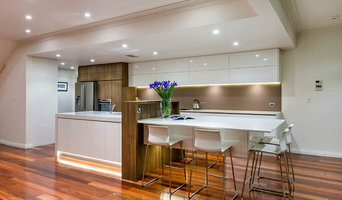 So if you’re looking for detailed woodwork like custom-made furniture for your living room or smart storage solutions, you’ll be sure to find an Attadale, Western Australia cabinetry expert in the Houzz directory of professionals. What Do Attadale, Western Australia Joinery and Cabinet Makers Do? If you know what you want and are ready to take the next step, scroll through this page to find joinery and cabinet makers in Attadale, Western Australia. As mentioned, you can browse their latest projects, read reviews and see how other homeowners rate their work, and message them directly. You can also look through Photos to find examples of joinery you like, then contact the professional who worked on them.